Editor’s Note: This is the third part of the second contribution to my new series Nephite History in Context: Artifacts, Inscriptions, and Texts Relevant to the Book of Mormon. Check out the really cool (and official, citable) PDF version here. To learn more about this series, read the introduction here. To find other posts in the series, see here. in the seventh century BC. The discovery of the Bethlehem bulla right in Jerusalem is evidence that Bethlehem was one of these “satellite settlements” linked directly to the capital city. This suggests continuity between the territorial relationships in the Jerusalem region from seventh century BC all the way back into the Amarna period (fourteenth century BC),15 when Bethlehem was identified as “a town in the land of Jerusalem” (see pp. NHC 2b). 1. For background on seals and bullae, see David C. Maltsberger, “Seal, Signet,” in Eerdmans Dictionary of the Bible, ed. David Noel Freedman (Grand Rapids, MI: Wm. B. Eerdmans, 2000), 1175–1176; J. Andrew Dearman, “Seal,” in HarperCollins Bible Dictionary, rev. and updated, ed. Mark Allen Powell (New York, NY: HarperOne, 2011), 928–929; William G. Dever, What Did the Biblical Writers Know and When Did They Know It? What Archaeology Can Tell Us About the Reality of Ancient Israel (Grand Rapids, MI: Wm. B. Eerdmans, 2001), 204–209, 235–237; Lester L. Grabbe, Ancient Israel: What Do We Know and How Do We Know It?, rev. ed. (New York, NY: Bloomsbury/T&T Clark, 2017), 223–228 § 5.1.2.6. The estimate of nearly 3000 comes from William G. Dever, Beyond the Text: An Archaeological Portrait of Ancient Israel and Judah (Atlanta, GA: Society of Biblical Literature, 2017), 596. 2. See Nahman Avigad, “Two Hebrew ‘Fiscal’ Bullae,” Israel Exploration Journal 40, no. 4 (1990): 262–266; Eli Shukron, in “Bulla Bearing the Name Bethlehem,” The Ir David Foundation, May 2012. 3. The first was the Gibeon bulla; see Gabriel Barkay, “A Fiscal Bulla from the Slopes of the Temple Mount—Evidence for the Taxation System of the Judean Kingdom,” ירושלם בחקר חידושים 17 (2011): 151–178 (written in Hebrew, see English summary at the end of the paper). The Bethlehem Bulla was the second; see Ronny Reich, “A Fiscal Bulla from the City of David,” Israel Exploration Journal 62, no. 2 (2012): 200–205. The third is the Eltekon bulla; see Gabriel Barkay and Robert Deutsch, “Another Fiscal Bulla from the City of David,” New Studies on Jerusalem 22 (2017): 115–121 (written in Hebrew, see English summary on pp. 11*–12*). These articles also provide information on the number of fiscal bullae and their general dating. 5. Reich, “Fiscal Bulla,” 204. 6. Hiede, “Some Notes,” 72. 8. Hiede did not include brackets to correctly represent the parts of the translation that are a restoration, so I’ve added them for clarity. I’ve also changed Hiede’s brackets on “year” to parentheses (consistent with Reich, “Fiscal Bulla,” 201) so as not to confuse this added word from the translator (usually placed in parentheses) with restorations to the underlying Hebrew, shown in the brackets I’ve added. 10. Reich, “Fiscal Bulla,” 201 renders this literally as Beit Leḥem, which is the Hebrew transliteration for Bethlehem (p. 203: “Beit Leḥem is identified with the city of Bethlehem”). Shanks, “‘Bethlehem’ from IAA Dig,” 12 adds “(taxes from the City of) [B]ethlehem,” clarifying that Bethlehem is the place the taxes are from. 12. See Nadav Naʾaman, “The Kingdom of Judah Under Josiah,” Tel Aviv: Journal of the Institute of Archaeology of Tel Aviv University 18, no. 1 (1991): 13–16; Nadav Naʾaman, “Canaanite Jerusalem and its Central Hill Country Neighbours in the Second Millenium BCE,” Ugarit-Forschungen 24 (1992): 282; Nadav Naʾaman, “Josiah and the Kingdom of Judah,” in Good Kings and Bad Kings: The Kingdom of Judah in the Seventh Century BCE, ed. Lester L. Grabbe (New York, NY: T&T Clark, 2005), 191–201. 13. Yohanan Aharoni, The Archaeology of the Land of Israel, trans. Anson F. Rainey (Philadelphia, PA: Westminster Press, 1982), 259. 14. Naʾaman, “The Kingdom of Judah Under Josiah,” 14; Naʾaman, “Josiah and the Kingdom of Judah,” 198–199. 15. Naʾaman, “Canaanite Jerusalem,” 281–283. 16. John L. Sorenson, “The Composition of Lehi’s Family,” in By Study and Also By Faith: Essays in Honor of Hugh W. Nibley, 2 vols., ed. John M. Lundquist and Stephen D. Ricks (Salt Lake City and Provo, UT: Deseret Book and FARMS, 1990), 2:179 places Lehi’s birth around 639 bc, near the beginning of Josiah’s reign, and his marriage to Sariah around 621 bc, at the height of Josiah’s reign. Sorenson’s age estimates for Lehi’s sons (pp. 175–176, 177–179) require that Laman, Lemuel, Sam, and Nephi all be born by 614 bc, several years still before Josiah’s reign ended ca. 609 bc. 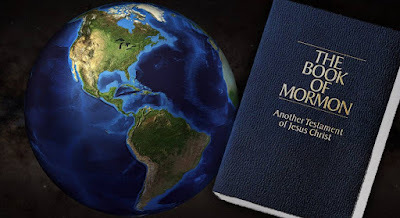 Note, however, John L. Sorenson, Nephite Culture and Society: Selected Papers (Salt Lake City, UT: New Sage Books, 1997), 23 states that he was persuaded Lehi departed from Jerusalem ten years later than originally supposed. Since his estimate for Lehi’s age was based on assumptions about Lehi’s sons ages upon departure, this obviously changed things, presumably shifting Lehi’s birth to ca. 630 bc, and similarly shifting his marriage and the birth of his children by about ten years. Other proposals for Lehi’s birth date include: H. Donl Peterson, “Father Lehi,” in First Nephi, The Doctrinal Foundation, ed. Monte S. Nyman and Charles D. Tate Jr., The Book of Mormon Symposium Series, Volume 2 (Provo, UT: BYU Religious Studies Center, 1988), 56: 650–640 bc; Robert F. Smith, “Book of Mormon Event Structure: The Ancient Near East,” Journal of Book of Mormon Studies 5, no. 2 (1996): 111: ca. 652 bc; David Rolph Seely and Robert D. Hunt, “Dramatis Personae: The World of Lehi (ca. 700–562 bc),” in Glimpses of Lehi’s Jerusalem, ed. John W. Welch, David Rolph Seely, and Jo Ann H. Seely, (Provo, UT: FARMS, 2004), 46: “the last years of the reign of Manasseh [ca. 647–642 bc? ]”; Jeffrey R. Chadwick, “Lehi’s House at Jerusalem and the Land of his Inheritance,” in Glimpses of Lehi’s Jerusalem, 128: 645 bc. My own views are most closely aligned with those of Sorenson (1990), and I reject the later departure date that he adopted in Sorenson (1997). On this, see Neal Rappleye, “Jerusalem Chronicle (ABC 5/BM21946),” Nephite History in Context 1 (November 2017): 1–5, esp. n.20. In any case, whichever date one prefers, much of Lehi’s life in Jerusalem would have been during Josiah’s reign, and most would have him raising his family at least partly during Josiah’s reign as well. 17. 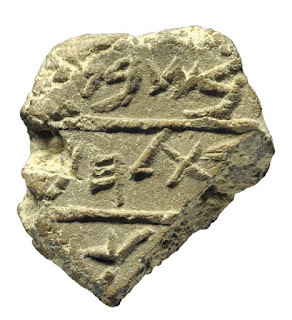 “Ancient Bethlehem Seal Unearthed in Jerusalem,” Phys.org, May 23, 2012. 18. See Robert F. Smith, “The Land of Jerusalem: The Place of Jesus’ Birth,” in Reexploring the Book of Mormon: A Decade of New Research, ed. John W. Welch (Salt Lake City and Provo, UT: Deseret Book and FARMS, 1992), 170–172. Perhaps this gives us insight as to what is meant by term "land of" as used in other contexts in the Book of Mormon.